The LG Revolution on Verizon is about to receive its first major update – unfortunately it’s not Gingerbread though. The 69MB update will bring users to version VS910ZV6 that includes a variety of bug fixes and a whole bunch of updated bloatware. It doesn’t look incredibly major, but it will make this 4G LTE offering from LG a much more polished Bing device. 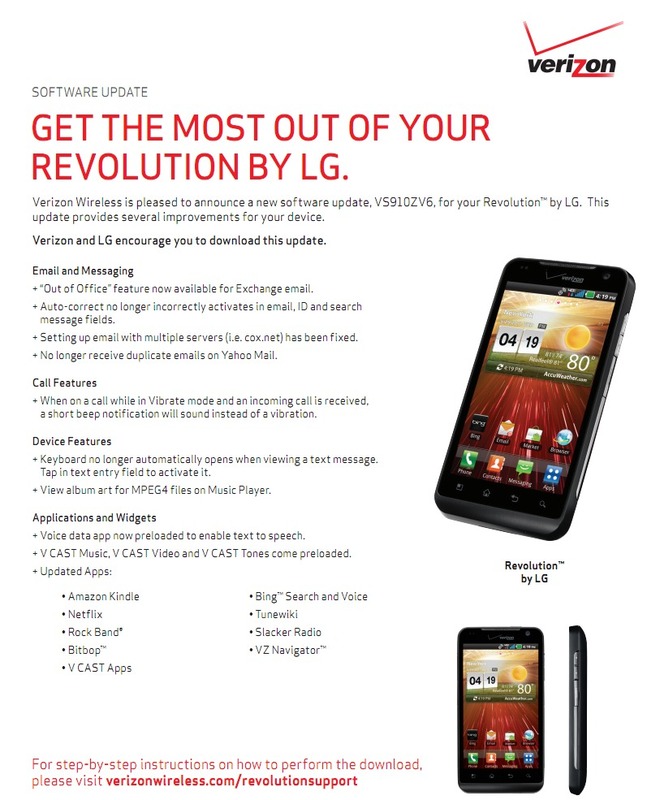 With the support documents hitting VZW’s site, we can expect the update to start rolling out within the next week.